Since 2015, Muritai School, has believed that STEM education is necessary to equip Muritai School students for the future. STEM learning incorporates a blend of hands-on learning activities and online learning applications to solve real-world problems while integrating Science, Technology, Engineering, Maths. In this Snapshot of learning from Enabling e-Learning, we highlight how Muritai School has bought this vision to fruition so far. With a dedicated focus on computational thinking and coding, as well as developing digital outcomes designed for an authentic audience, the essence of the Digital Technologies areas of the Technology curriculum are also being realised. For more on how they have done this and the tools and resources used, as well as the benefits and learning outcomes for students, see, STEM learning at Muritai School (Enabling e-Learning,TKI). What kinds of STEM, STEAM ideas are being 'thought about' or implemented at your school? Are these integrated through bigger contexts for learning? Do you have specific space/s set up for STEM and STEAM (Science, Technology, Engineering, Arts, Maths) activities, is this taught in every class or do your teachers share rotations? We'd love to hear more. Here's a message from Jacky Young (accredited facilitator) asking if you have any knowledge (ideas and examples) about STEM and STEAM in schools to add to this crowd-sourced slideshow. 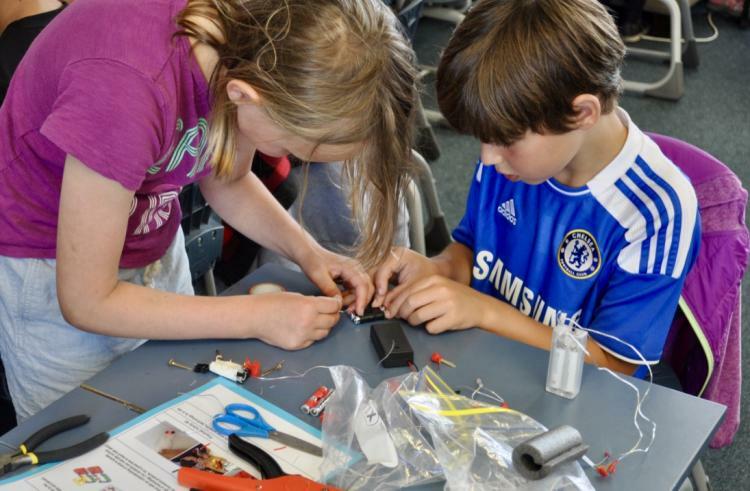 Kia ora tātou, As part of the Grow Waitaha Curate team's partnership with the initiative called City of Learning I am working on creating a resource for teachers in Otautahi around STEAM stuff and desperately need your help. Where could schools go to experience STEAM opportunities? You may not be a local but you may have some knowledge that could contribute to this doc. Please note: To view the original post, please feel free to join edSpace community first and then join the STEAM'in Ōtautahi group.